The Permanent Magnet technology offers a good compromise of high specific torque and low losses, which justifies its choice in most electric motors for automotive applications. However, the high and volatile cost of raw materials for magnets makes uncertain their long term availability, especially since the electric traction technology is called to be deployed at large scale in the future transportation system. As a consequence, alternative technologies that include rare-earth free machines or reduced rare-earth PM machines, are of high interest. Several types of motors have been under study for propulsion applications, including low-cost PM, induction, switched reluctance and synchronous reluctance motors. 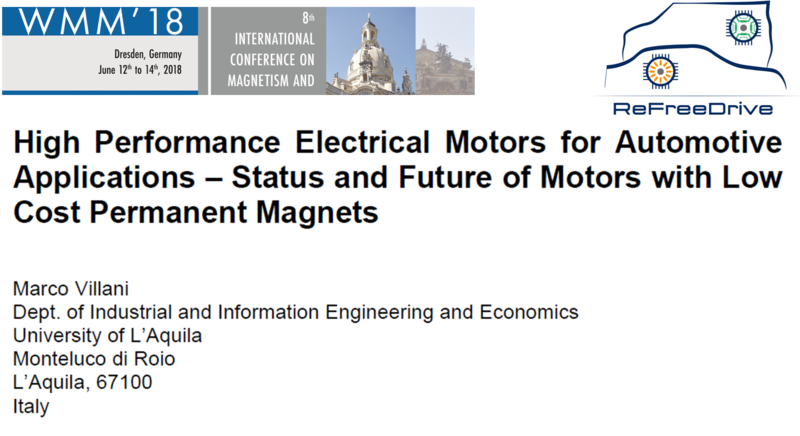 In this paper, different types of low-cost PM or rare-earth free motors for automotive applications are reviewed and discussed highlighting the advantages and drawbacks and the design of synchronous reluctance motor for a pure electric vehicles is presented.